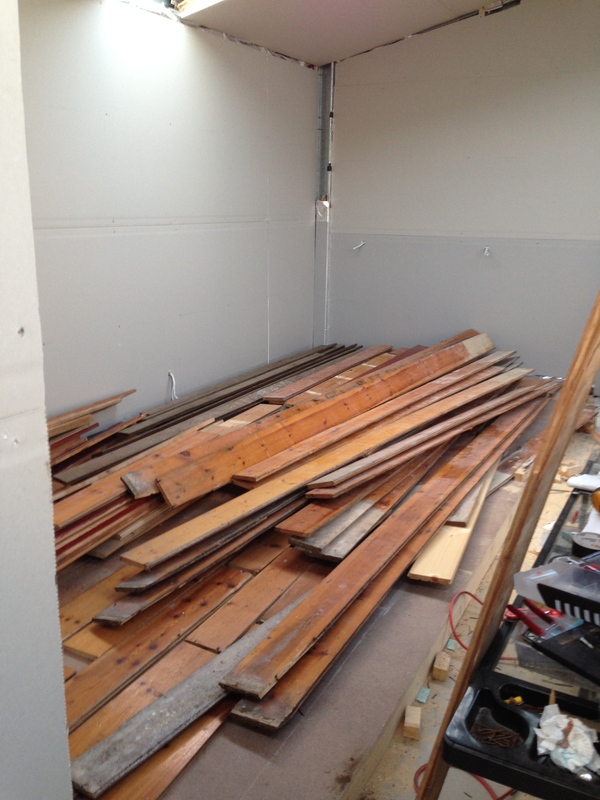 Having decided that I wanted to put down vintage baltic pine floor boards with a border of jarrah, I managed to track down some old pine boards on Gumtree. They were still in the house that they were being removed from and they looked excellent. I promptly payed the guy for them, and then returned the next day to pick them up only to find that he had destroyed most of them during removal. Being such aged wood, most of them split along the tongues and grooves. 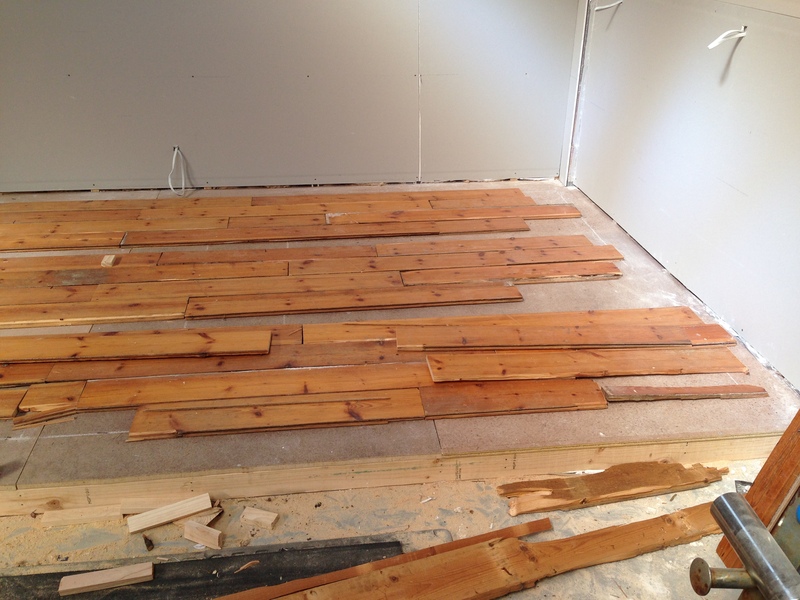 Moral to the storey is not to buy floorboards until after they have been removed from a house! I got them anyway, for a reduced price, but there was not nearly enough to do the job. I kept hunting and tracked down another lot of baltic pine boards. It was a bit of a mixed bunch of sizes, but there was about 30 sq metres of them, and I only needed about 14 sq metres, so I figured there would be plenty to play mix and match with. 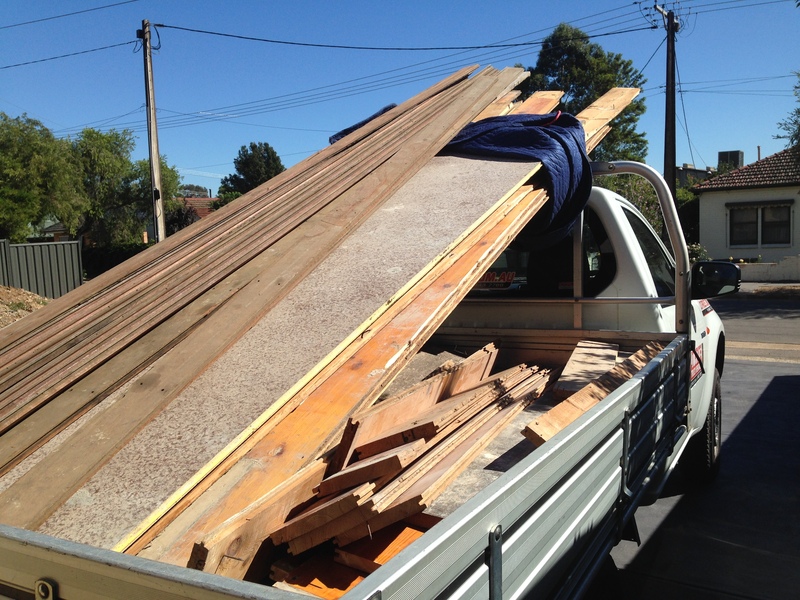 On the way home from picking up the baltic pine boards, I stopped by a demolition yard and got some 100 year old jarrah boards. So I finally had my vintage floor boards, and an idea in my head for the pattern I wanted, it was time to try and make it happen.